Warner Bros. showcased their huge list of talented actors and crew members involved in making their highly anticipated films at this year’s CinemaCon in Las Vegas, including clips from Fantastic Beasts and Yates’ Legend of Tarzan. 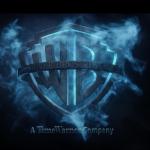 According to Business Wire, Warner Bros. focussed their presentation on trailers and some never-before-seen footage from the films, illustrating a statement by CEO Tsujihara about the diversity of their works, encompassing huge feature films (such as Fantastic Beasts! ), dramas, action adventures, horror thrillers and comedies. Making a video appearance for The Legend of Tarzan, Dwayne Johnson; Alexander Skarsgård, Margot Robbie, Samuel L. Jackson and Christoph Waltz introduced the film at the panel, showing just how talented the cast for David Yates’ film has been! Even more excitingly, Warner Bros. closed with a look at Fantastic Beasts, with on-stage appearances by Eddie Redmayne, Alison Sudol, Dan Fogler and Colin Farrell, who helped introduce the new trailer (below), and an exclusive look behind the scenes of the film. Read more about the presentation here!